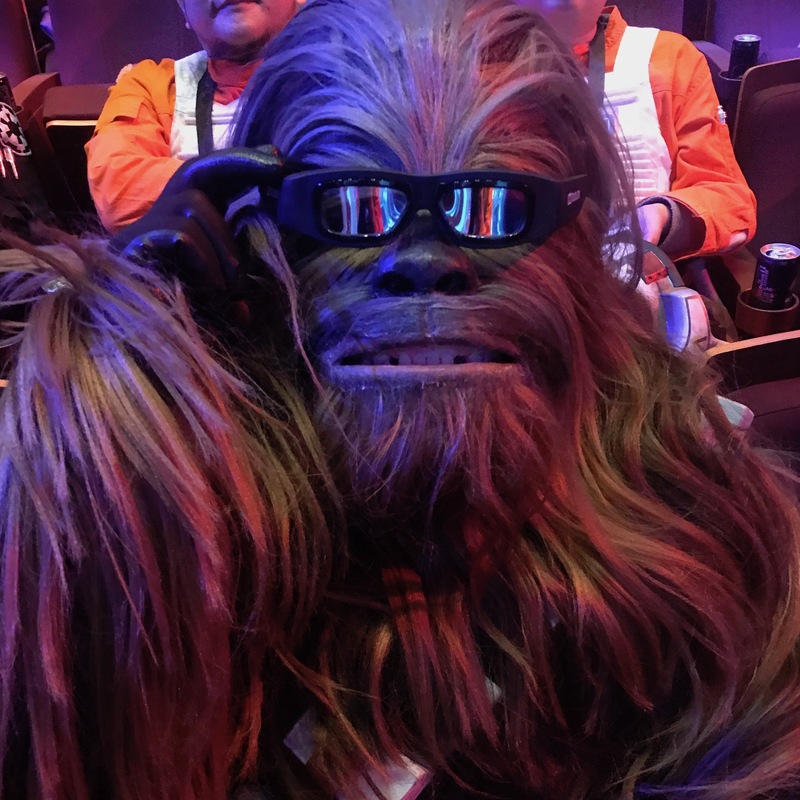 There has been a few moments of being proud to be a wookiee … see kids smile, getting misty eyes from fan meeting me, my daughter telling her friend “dad is a wookiee”… But this was priceless. 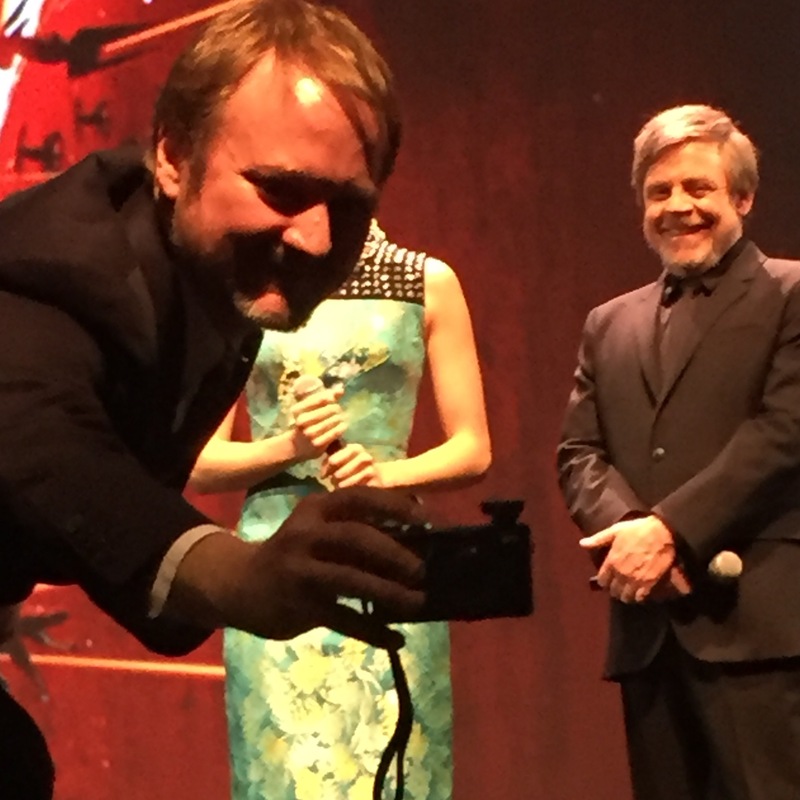 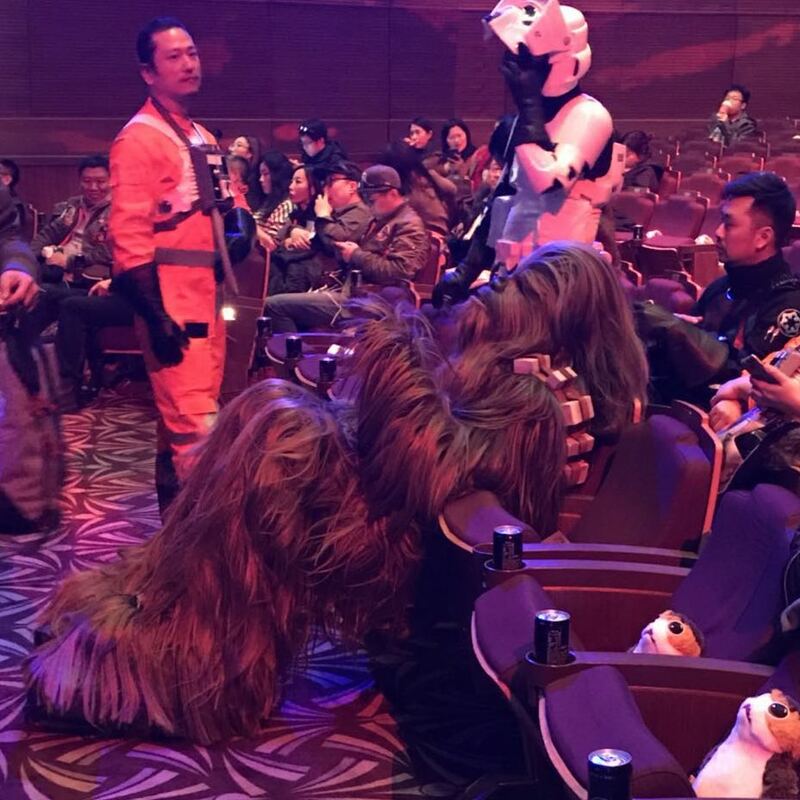 RianCJonhson in the middle of stage interview at the China Premiere realizing a Wookiee was sitting first row and taking the picture ! 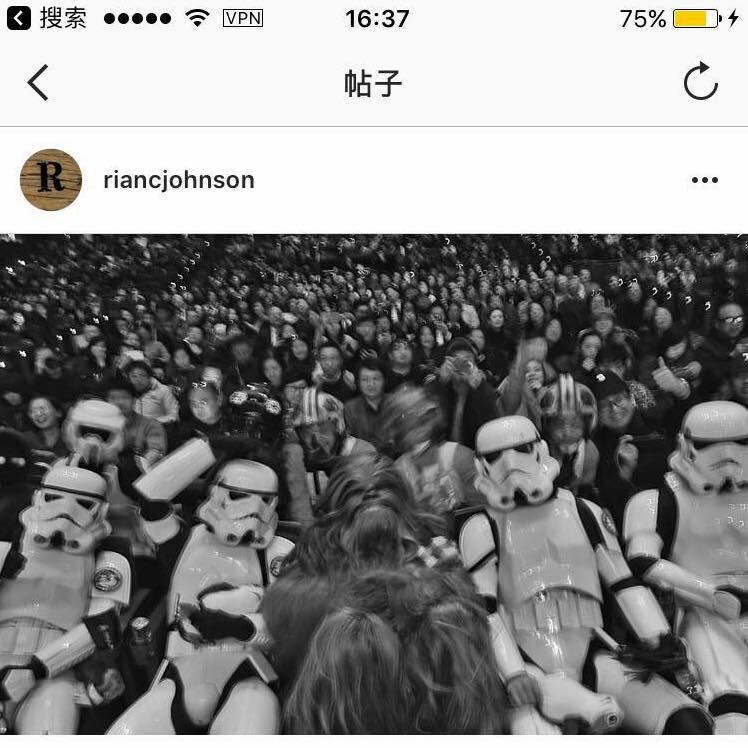 Probably the closest thing from a SW Director to ever take an interest in me !